Size: approx. wingspan 50-60 mm. Photo: 08/27/11, 11 am. 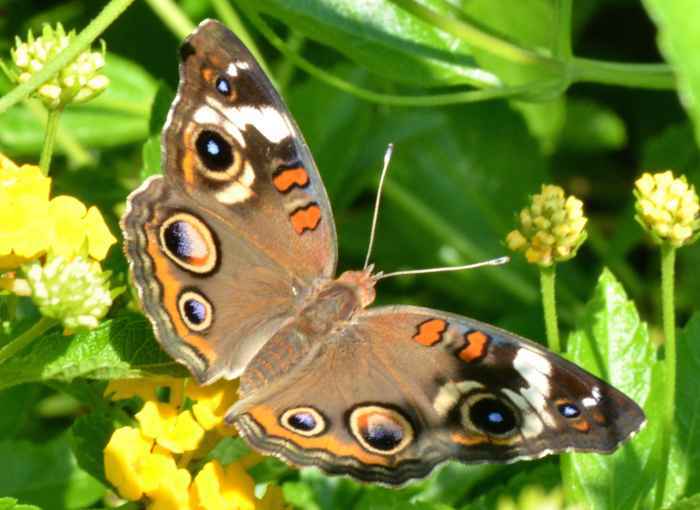 The Common Buckeye (Junonia coenia) has striking eyespots on the upper wing surface and can be found in the entire US except the Northwest. 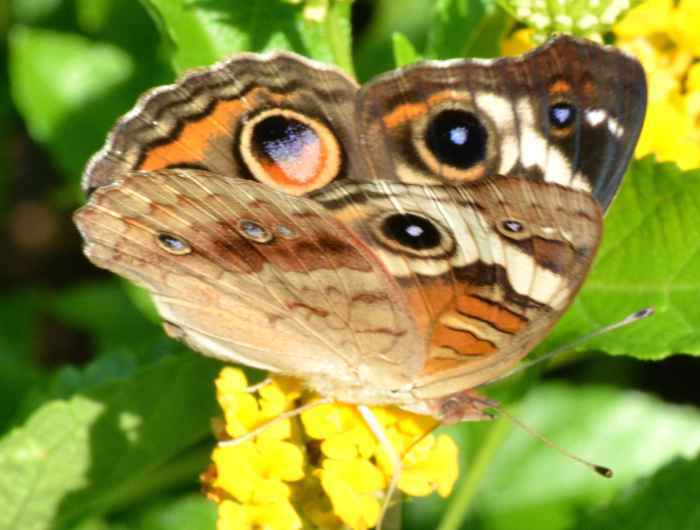 The eyespots are supposed to distract or scare predators. The ventral wings of the summer version ("linea") are light yellowish ventral wings; in the Fall morph ("rosa") they are pink.